New York, NY — January 8, 2015 – Broadway continues its 2014-2015 season momentum. In addition to the 17 shows that have already opened this season – joining the 18 long-running shows currently playing on the boards – to date, 19 more shows have announced opening dates this spring with more expected to announce. The Broadway League announces Officers elected to its Board of Governors: Robert E. Wankel as Chairman of the Board, Albert Nocciolino as Vice Chairman of the Road, and David Richards as Secretary/Treasurer. The Broadway League membership includes theatre owners, producers, presenters from around the country, press agents, general managers, booking agents, advertising agencies, and industry specialists who represent the various shops that construct scenery, costumes and props. 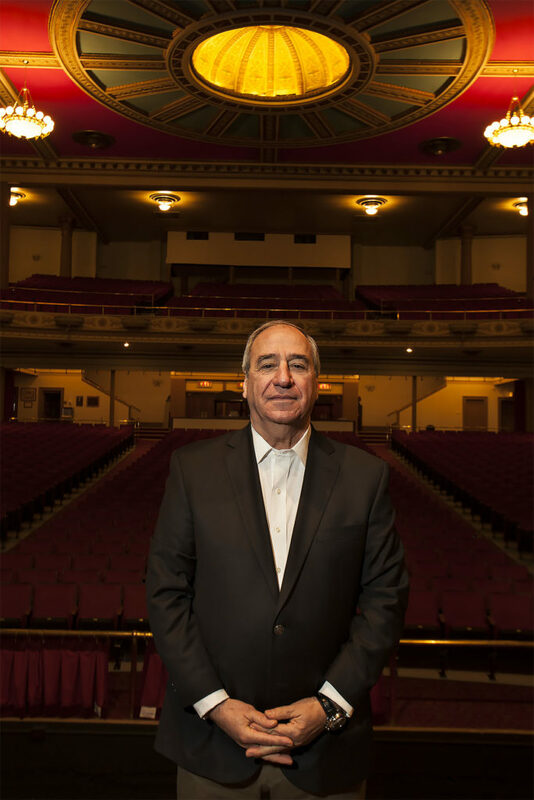 ROBERT E. WANKEL is the President and Co-Chief Executive Officer of The Shubert Organization, Inc. as well as a member of the Board of The Shubert Organization and The Shubert Foundation. He has been with Shubert for more than 35 years. Mr. Wankel is a member of the Executive Committee and Board of Governors of The Broadway League. He is a member of the Executive Committee of the Board of Governors of the Times Square Alliance. He is also Chairman Emeritus and Trustee of the Board of the American Academy of Dramatic Arts as well as an Officer and Director of The Actors Studio. Mr. Wankel serves on the boards of Broadway Cares/Equity Fights AIDS and is Chairman of the Actors Fund Housing Development Corporation. ALBERT NOCCIOLINO serves as President & CEO of NAC Entertainment, Ltd., a company he founded in 1976. NAC is a diversified entertainment and theatrical company specializing in the presentation of National Touring Broadway shows in New York State (Buffalo, Rochester, Syracuse, Binghamton, Elmira, Utica and Albany) and the State of Pennsylvania (Scranton and Erie). He has presented shows for over 35 years. Mr. Nocciolino is also responsible for producing and co-producing Broadway shows on Broadway and national touring shows across the country. He recently co-produced Driving Miss Daisy on Broadway starring James Earl Jones and Vanessa Redgrave. He has been a Tony Award voting member since 1982. He is currently Vice Chair of the Road, of The Broadway League (the national trade association for the Broadway industry), a founding member and Chairman of the National Touring Theatre Council, and is past President of the Independent Presenters Network (IPN). DAVID RICHARDS David R. Richards is the founder of Richards/Climan, Inc. with Tamar Haimes (formerly Tamar Climan). Recent credits include: You Can’t Take It With You; All The Way; Rodgers & Hammerstein’s Cinderella; Mothers and Sons; Bullets Over Broadway; Lady Day at Emerson’s Bar and Grill; The Gershwins’ Porgy and Bess (National Tour and Broadway); The Glass Menagerie; Anything Goes (National Tour); Who’s Afraid of Virginia Woolf? ; Glengarry Glen Ross; Gore Vidal’s The Best Man; The Scottsboro Boys; The Mountaintop. The Broadway League, founded in 1930, is the national trade association for the Broadway industry. The League’s 700-plus members include theatre owners and operators, producers, presenters, and general managers who present in nearly 200 markets in North America, as well as suppliers of goods and services to the theatre industry. Each year, League members bring Broadway to nearly 30 million people in New York and on tour across the U.S. and Canada. For more information, visit www.BroadwayLeague.com, or follow The Broadway League on Twitter @TheBwayLeague or on Facebook at www.facebook.com/BroadwayLeague. BROADWAY.ORG is the League’s official on-line headquarters for Broadway in NYC and on tour. Download the free Broadway.org mobile app for iOS or Android, and the free IBDB mobile app for iOS or Android.